Did you know that issues with sourcing Teak go back over a century? Burmese Teak quality and availability have actually been troubled since the nineteenth century. In summary, the issue is as follows: “The forest resources of Myanmar, though scientifically managed since 1856, have been decreasing gradually both in extent and quality due to increased population pressure and consequent rising demands for the forest land and forest products.” Despite this chronic problem, J. Gibson McIlvain remains committed to selling only authentic Burmese Teak. Why limit ourselves to Burmese Teak when there’s plenty of Plantation Teak being grown elsewhere around the globe? 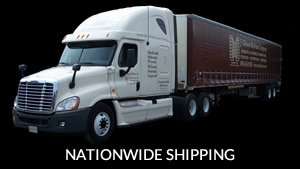 For us, there’s something that ranks higher than filling orders: sourcing only quality products. In fact, that commitment to quality is the overriding principle by which we run our entire business. 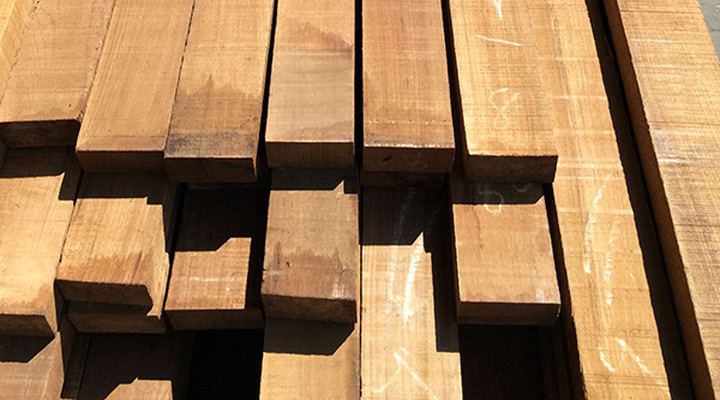 While not all Plantation-grown lumber is necessarily inferior, plantation Teak does not demonstrate the same level of quality as found in Burmese Teak. Plantation Teak grows faster, making it more sustainable; however, trade-offs include a greater incidence of pin knots and less consistency of color. Those pin knots are especially significant, since our main Teak customers are boat builders: each knot causes an interruption in the grain, providing a potential trap for water and reducing the weather-resistant quality of the wood. Some distinctions in plantation Teak aren’t due to the plantations themselves but to the locations in which they grow. For one thing, the soil chemistry at most plantations reveals a significantly lower silica content; the higher percentage of silica in the soil of Myanmar is something that contributes to the water-resistant characteristic of authentic Burmese Teak. 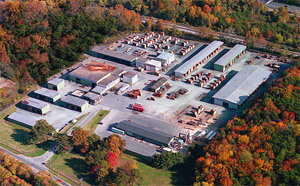 Another location-based difference is that the climates in which plantation Teak is currently grown lead to less consistency in both color and grain. Authentic Burmese Teak has everything our Teak customers require: clear, straight grain; consistent coloring; and superior weather resistance. Just because old growth Teak is preferred to plantation Teak doesn’t mean sourcing it doesn’t come with challenges; it definitely does. 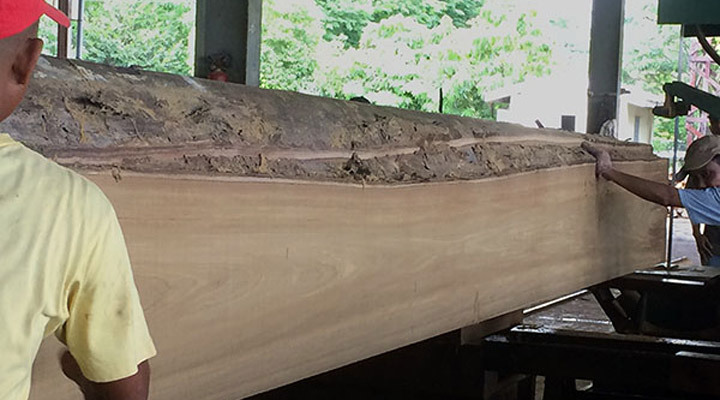 Plantation Teak has emerged as an answer to the sustainability issues plaguing old growth Teak forests. With proper forestry management, though, we believe old growth Teak forests can remain healthy and sustainable for future Teak customers, and we purchase our Teak only from those mills that employ environmentally friendly practices. Although Myanmar was once well-known for sustainable forestry management, its last half-century under military regime has darkened the outside world’s ability to see into their current practices. During that same time period, Teak demand has only increased, requiring even more stringent regulations for the protection of Teak forests. 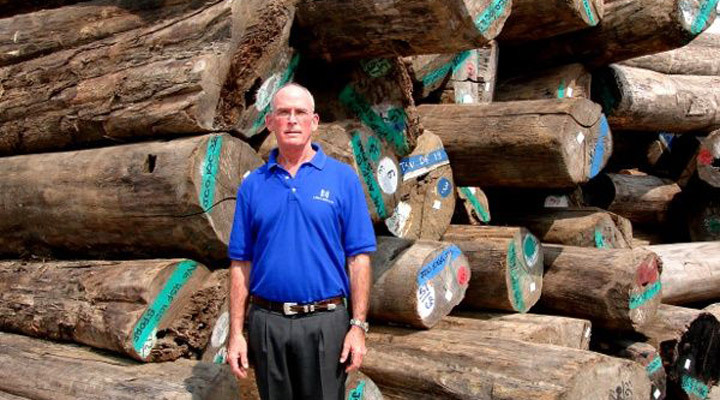 J. Gibson McIlvain Lumber is committed to sourcing as much sustainably harvested authentic Burmese Teakas possible, in order to provide our customers with the highest quality Teak lumber available.